Majin is sewing the jacket for Mikas uniform right now. The wig and coat are already finished. <3 I'm working on my first ponytail wig. If it weren't for anni's great tutorial and my dears first try on Tenka I would be a lot more... tense while doing this. But the wig comes along nicely so far! I even attached some extra hair within the ponytail to make it longer. :3 Of course I want to show you some pictures of my progress. BTW, my dear managed to get me hooked on Glen too. 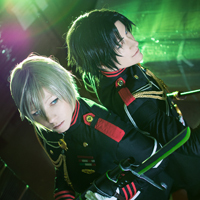 She forced me to like him, because she LOVES Shinya and "Shinya and Guren are meant to be together"... or so. 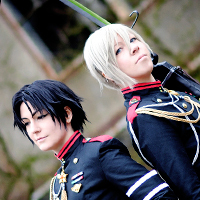 ;) Im almost 100% sure that Mika and Ferid won't be our only OwaSera Cosplays. The first one has its atenna finished already. :3 Isn't (s)he cute? sale - http://adidasyeezyboost.co.uk/ to keep it smart. I did however expertise several technical points using this site, since I experienced to reload the web site a lot of times previous to I could get it to load correctly. It's an amazing piece of writing in favor of all the online users; they will obtain advantage from it I am sure.